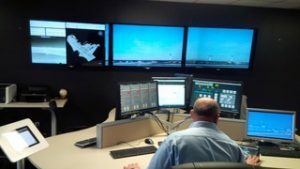 We are a Canadian company specialized in coordination and visual guidance systems for airports designed to improve safety and operational efficiency. 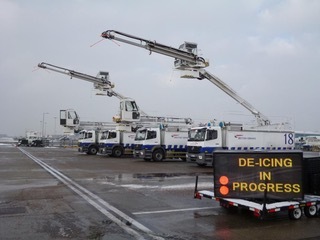 Established since 2007, JCAII has established itself as a world leader in aircraft ground de-icing visual systems. With installations over 25 airports in North America and Europe. 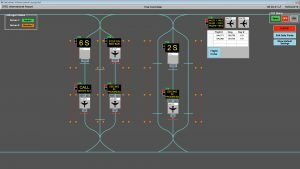 Under our trade name AIM Systems® (Airfield Intelligent Management), we offer a suite of state-of-the-art systems, providing real-time information and data designed to enhance decision making with accurate information. SmartPad® is a one-system solution that fully integrates coordination, visual guidance and data analysis. 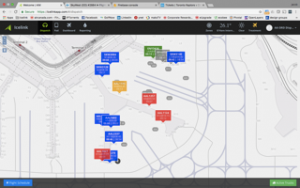 Providing all stakeholders including airport, airline, service provider and system ops control with up to date situational awareness. Decision making throughout the process is done with real-time accurate information that allows changes to be made on the go to achieve better performance. 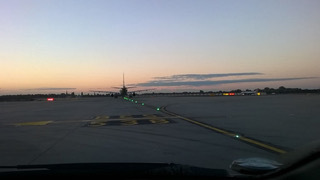 SmartPad® is designed to improve de-icing efficiency by providing visual guidance and operational messages to both flight crew and ground crew. Improving situational awareness promotes a safer work environment and mitigates the risk of miscommunication. 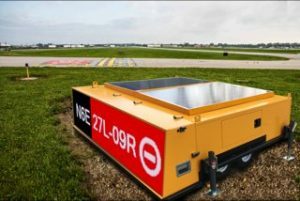 JCAII Electronic Message Boards (EMB) provides a visual communication systems that can be permanently installed on the airport site, mobile (trailer mounted system with generator) or installed on a vehicle. Our boards are designed and built for harsh winter climates and come with a two-year warranty for parts and labour. We can customize the boards to your specifications, including personalized automated messages. The boards are equipped with redundancy to ensure a safe operation and provide a good visual for the pilots in all weather conditions. Re-enforcing verbal communication with visual. 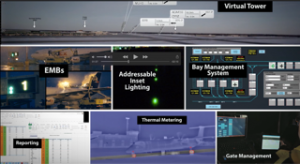 JCAII’s SmartPad® solution contains the worlds most advanced inset lighting products in the airfield today. This patented, LED based lighting technology is manufactured in Germany by Hellas airfield lighting division and is known as Contactless Energy and Data Distribution (CEDD). CEDD is designed and manufactured for maximum reliability in harsh environments and precision control. Connectivity is provided through an inductive clamp which extracts the data and energy required without the need to expose sensitive cabling connections to the elements, such as traditional AGL systems. GPS and transponder based inputs. All aspects of the operation are time stamped and recorded which provides a multitude of data that can be broken out and analyzed to target improvement areas. Graphical visual of the pad. 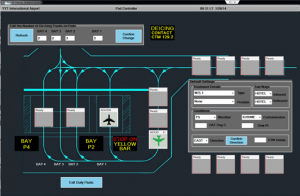 The JCAII Bay Management System is designed to operate with all the AIM System products, as well as any other software-based system. 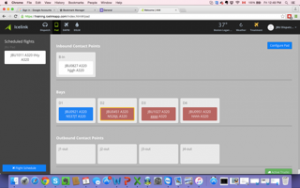 BMS… when compromising is not an option. Icelink® is a web based De-icing Management System designed to provide real-time operational performance data for all stakeholders. The system is scalable to any size operation and can be used for remote de-icing facilities as well as gate operations. Monitors truck activity and fluid levels. Icelink® is one of the most efficient tools to allow operational adjustments to be made instantaneously. It can be adapted to provide any statistic a stakeholder requires and can be shared with everyone for ease of communication.